Travelers heading abroad in 2018 may notice some new changes to the State Department’s Bureau of Consular Affairs website (i.e. travel.state.gov) and the travel alert process. 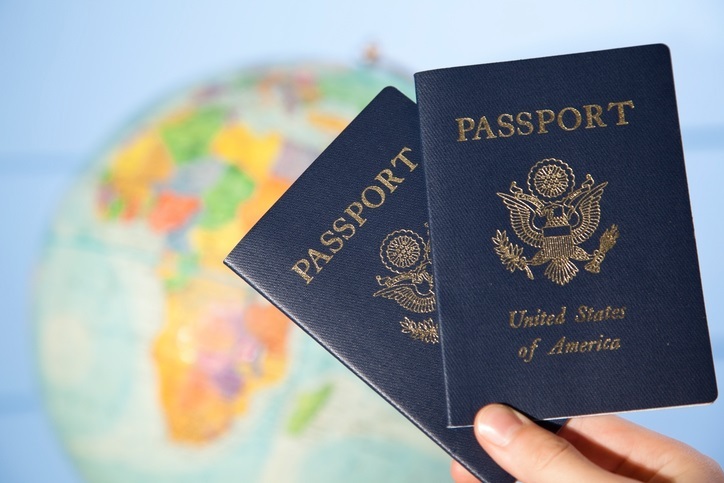 In this blog, we’ll discuss what these changes are and how to interpret them, so that travel administrators, risk professionals, and individual travelers alike can better understand how to use this information to help inform their travel decisions and stay safe abroad. After listening to feedback from the travel sector and general public, the officials at the Bureau of Consular Affairs identified three areas for improvement. First, they wanted information on the site to be easier to obtain and understand. Second, they aimed to give travelers a better idea of where the United States stands with regard to travel to a particular country at any given time. And finally, they wanted to relay relevant travel safety information to the public in a more timely and efficient fashion. Travelers may have already noticed the first improvement, a newly-designed travel.state.gov which launched in December 2017. Aside from making the site more mobile-friendly and easier to navigate, visitors can now access comprehensive country information on one page without the need to reference various pages on the site. Note: State Department Officials have also indicated that in certain instances specific countries may have multiple levels—one overall travel advisory level for the country as a whole and additional travel advisory levels for specific areas of that country. Travelers should be aware that there is an element of risk involved in any international travel and take the appropriate steps to mitigate this risk. Travelers should take some additional steps to account for their safety while in country. In counties with a Level 3 advisory, the U.S. Government may have limited ability to provide assistance. Travelers should have adequate security measures in place to mitigate the risks in country. This does not necessarily mean there are legal parameters in place barring U.S. citizens from traveling to the country, but it indicates there is a high risk of terrorism, crime, or conflict. This is the highest level of classification, the U.S. Government may have very limited ability to provide assistance, and the State Department recommends that travelers leave as soon as it’s safe to do so. Furthermore, on the top right of the Country Information pages, visitors will also notice that lettered icons (e.g. C – Crime, T- Terrorism, N- Natural Disaster) provide clear reasons for the advisory levels assigned to each country that is ranked from Level 2-4. In addition to the country pages, these threat levels will be displayed on an interactive map that also includes the location and contact information for State Department resources worldwide (e.g. embassies, consulates, etc). For further information on these upcoming changes, you can visit the State Department’s information page. With these changes come new considerations for those who oversee international travel on behalf of their organizations. From a duty of care perspective, administrators should consider what this new classification system means for their organization. Will it affect the way your organization perceives the risk of traveling to a particular destination? What about your organization’s individual travelers; will they have questions and concerns about the changes? Proactive organizations may want to consider sharing information about these changes with their travelers. From a procedural standpoint, organizations may need to rethink some of the policies, guidelines, and tripwires they currently have in place. For example, it’s not uncommon for an academic institution to require that travel to a country with an open travel warning must first be examined and approved by a review board. If this is the case, the institution’s travel policy will need to be reconsidered to account for the changes to the advisory levels. Additionally, organizations should consider what their response would be if an alert is issued, or a country’s overall advisory level changes, while one of their travelers is in country. In this instance, an organization may want to engage their travel risk management provider to better understand the situation. Furthermore, how does your organization’s insurance provider plan to handle these new changes? Organizations may also want to understand how any insurance policies, especially those with political evacuation benefits, may work with regard to these changes. As always, it’s important that administrators take these country levels and alerts seriously. The U.S. State Department puts a considerable amount of time and effort into determining the risks present in a particular country and doesn’t issue language like “do not travel” lightly, as designations like this can have a considerable effect on international relations, tourism, and the global economy. With these changes also come new considerations for the individual traveler. First, it’s important to understand that developing and issuing risk levels for countries is a nuanced process, and the threat posed always varies depending on the specific location within a country. When the risk levels vary significantly in certain areas, the State Department may choose to issue multiple levels for that destination. However, travelers should be aware that even if multiple levels are not present, the threat posed will vary depending where in the country you are headed. The changes to the website will also include the introduction of risk indicators that identify the specific threats travelers should expect to encounter when in a country. This provides travelers with an added resource to consult before they travel. By knowing the threats they may encounter ahead of time, travelers can preemptively prepare to mitigate the risk. If travelers have questions about how to prepare for a risk or how to interpret a country’s risk level specific to their planned itinerary, they should consider reaching to their travel risk management provider for more extensive information and analysis. Finally, travelers should note that these new changes seek to improve the mobile experience. The changes will make the website more mobile- friendly (easier to view and navigate on a tablet or cellphone) and allow travelers the ability to quickly review key country information all in one place while on the go. For example, an interactive map displays a worldwide overview of country threat levels and State Department resources. This map works well on mobile devices and serves as a valuable resource for travelers. In the long run, the changes to travel.state.gov should help travelers and administrators better understand and locate necessary safety and emergency resources. However, with these new changes, many organizations may need to reassess specific elements of their travel risk management programs and adapt them accordingly. Want to learn more about how these changes may affect your organization’s operations and international travel policies/procedures? Contact us today. What Is an Emergency Action Plan and Why Does Your Organization Need One?